What do the numbers under your ammo count mean? 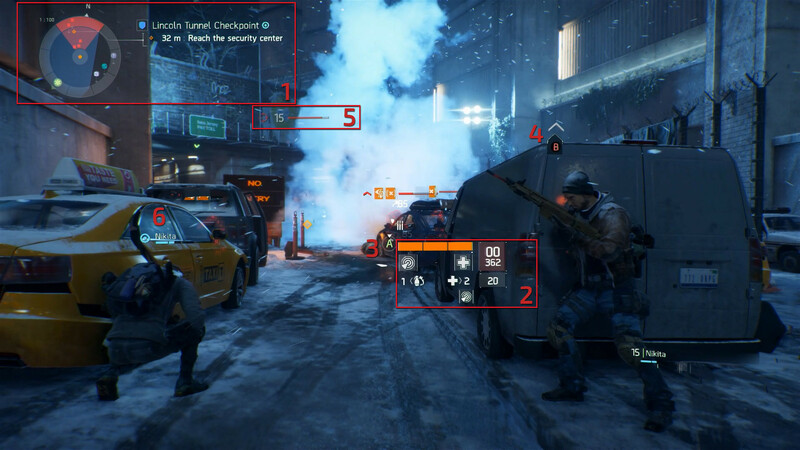 In the Division, I know what almost all UI elements mean, except the number below the ammo/clip count, shown below as "20" (highlighted section 2). Even the site I stole the image from neglected to explain what this value meant. Can anyone fill the gap in my knowledge? May seem like a stupid question, but I can't find what it means anywhere. This is the number of rounds in the clip of your 'other' weapon. As it's quicker to change weapons than reload, it's helpful to know how many rounds you've got left. To test, fire all the rounds in your first weapon, then immediately switch to your other weapon, and you'll see the counter turns red and shows 00. Here is a picture of my character using a sidearm with both weapon clips empty. Not the answer you're looking for? Browse other questions tagged the-division or ask your own question. What determines the quality of crafting materials gathered? Found UAV, what is the purpose? Is loot relative to your agents level or to the zone you're in? 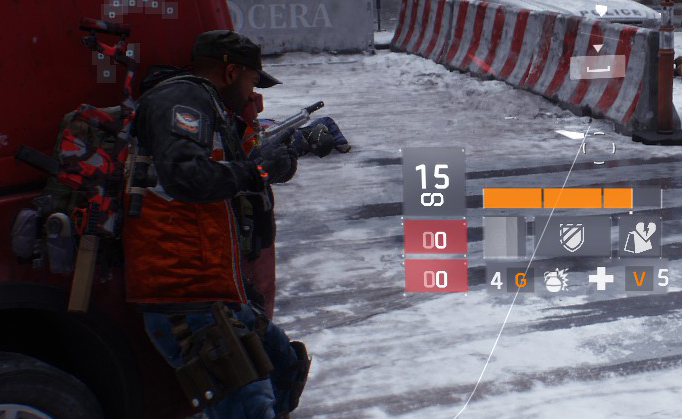 What are the penalties for dying in The Division? What does “threat” do in The Division? What does each color of damage number mean? What is the difference between Encounters and Events? What is the number each gear has? What are the different tiers of gear mods? What color is the best gear?